If you are too young to remember the original episodes of Gunsmoke, don’t worry. There are many places where you can find reruns or even purchase DVD’s of the classic show. Watching it today is still very relevant with interesting story lines. This show ran for 20 years for pete’s sake from 1955 to 1975 with 635 episodes. With many of today’s “one and dones”, this seems almost incredible. So what did this show have to make it so popular? No doubt there were great writers. But surely the cast was what brought viewers back time and time again. Here is a run down of the most popular cast members (you can read in depth biographies by clicking on the name). Played Marshall Matt Dillon of Dodge City, KS. It is not known if he appeared in every episode but he did stay with the show for the entire 20 years. It is not widely known that Arness was injured in the leg during a battle at Anzio. If you watch closely, there are instances where he appears to have difficulty mounting his horse – the old injury never went completely away. Read more…. Love Gunsmoke I watch it still every day grew up watching Gunsmoke every Saturday night would love to have every show that wad made. grew up watching Gunsmoke&now in the reruns.whatever happened to Louie,town drunk,and to Moss the livery stable person? I’ve been watching gun smoke since the 50’s and still watch, I feel like I know them all ,its good they still show the re runs . I once watched a marathon from 6:00am till midnight. GUNSMOKE IS AS AMERICAN AS BASEBALL MOM, AND APPLE PIE. WOW! 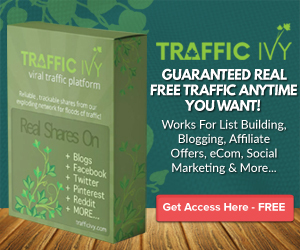 Traffic Ivy for FREE! Supposedly, John Wayne was offered the role of Matt Dillon in Gunsmoke. He turned it down and suggested that James Arness be offered the role. The rest is history! What Happened to the Cast of Gunsmoke TV? Ever wonder what became of the cast of Gunsmoke? What this excellent video and you will probably learn many things that you did not know before. There is even pictures of Dodge City and the Long Branch Salon as it existed in the 1880’s. Very interesting!